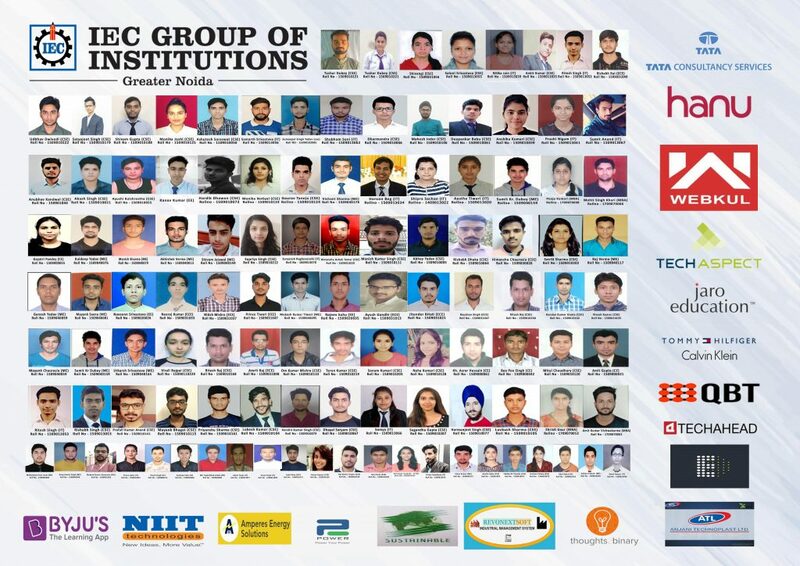 IEC Group of Institutions is entering a great era of becoming the best colleges to offer the best placements. Combining the achievements of students, alumni and the exemplary efforts of faculty and staff, IEC has a marvellous story to tell. It is recognized for its commitment to enable student transformation and elevate their professional pursuit. This group of Institutions, with a vision to be renowned institutions, offers the best campus life experience in its green and picturesque campus with state-of-the-art infrastructure located in Greater Noida. Experienced and highly accomplished faculty, ensure the best learning experience. The Campus Placements Statistics is going very well with increased number of companies visiting as well as more number of candidates securing good job offers. This Placement Report is as of March 2019 and the number will rise with more companies to conduct Campus Recruitment in the coming months. Our expectations are floating with respect to the response from India Inc, as we believe that, “Where there are Quality Students, There are Quality Recruitments”. 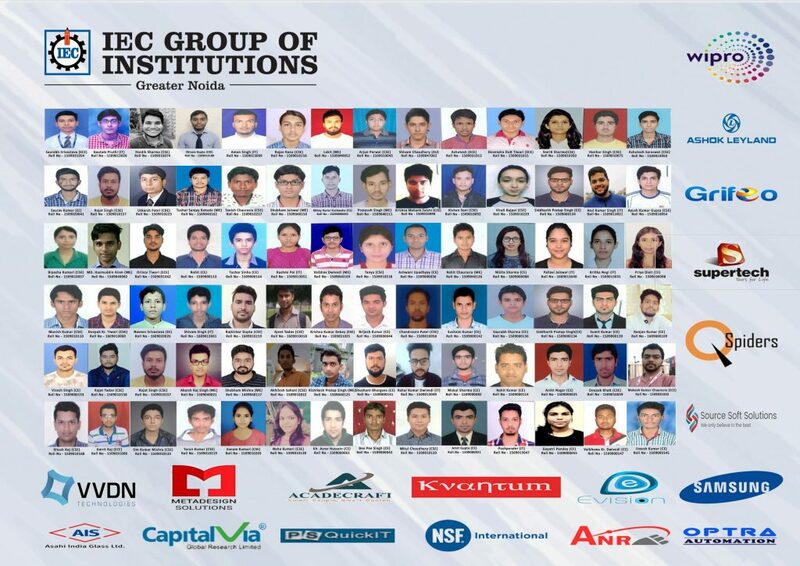 The IEC Group of Institutions congratulates those who have already secured job offers and wishes best of luck to those who are yet to secure the same. The poster includes a list of students who secured job offers.